Sony has decided to end it’s sponsorship partnership with FIFA and the World Cup amid the numerous scandals FIFA have been reported in of late. TOKYO— Sony Corp. has decided to end its sponsorship of World Cup soccer amid growing concerns about the transparency of the bidding process for the next two tournaments, a person familiar with the matter said Tuesday. Sony’s contract as one of six “official partners” of FIFA, the soccer governing body, was set to expire at the end of this year. 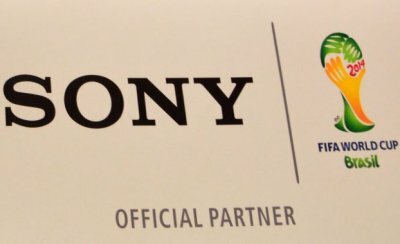 The decision not to pursue a renewal makes Sony the second top-tier sponsor this month, after Emirates Airline, to move to sever ties with FIFA. Unlike Emirates, Sony hasn’t officially announced its decision, but the person familiar with the situation said the company wouldn’t renew its eight-year deal, worth ¥33 billion. One reason for the move, the person familiar with the matter said, is that the company is focusing on cutting costs as it restructures its electronics division, including the smartphone business, which has featured prominently in Sony’s World Cup-related marketing. But the company was also concerned about the possible negative implications of further associations with FIFA, he added. “The existing contract with Sony runs until 31 December 2014 and we are currently in discussions with the brand,” FIFA said in an emailed statement. This however doesn’t have any impact on Sony and UEFA’s partnership, So Europe will still see Sony & Playstation 4 banners and adverts during the very lucrative Champions League fixtures.